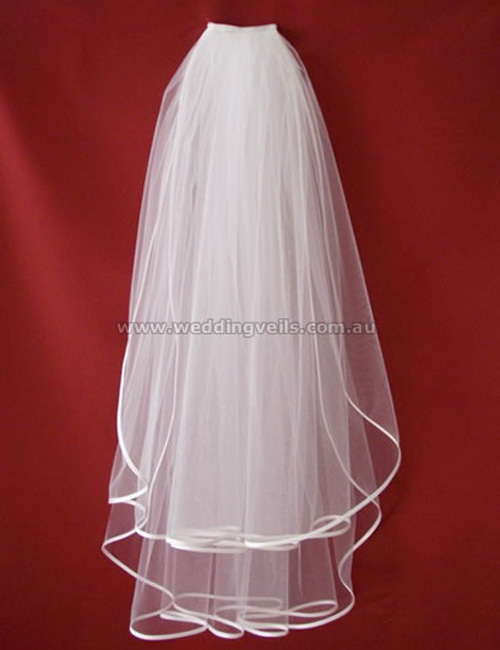 Elegance is a truly elegant satin edge veil. 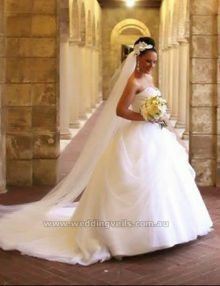 The perfect compliment to a silk or satin wedding dress. 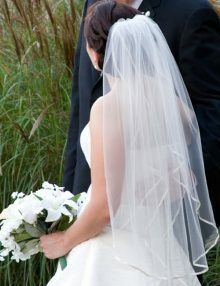 This two tier veil with satin edge can be worn high up on the head for a fuller look, or towards the back of the head, if desired. 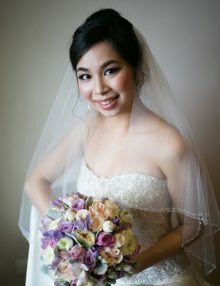 The top tier can be worn over the face as a blusher. 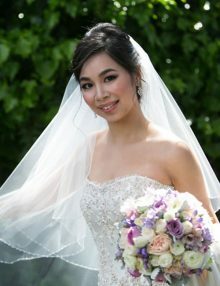 This veil is true elegance! 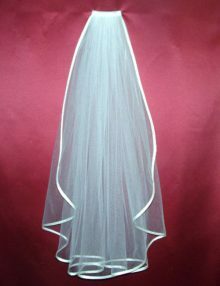 Waist length veil is pictured. 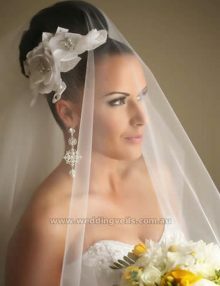 This veil is worn by Judy, see her photos on the Our Brides page.